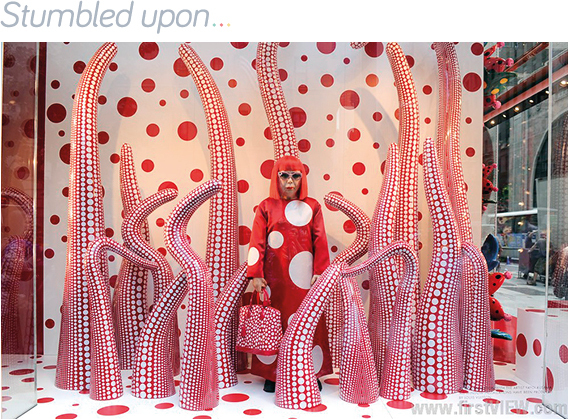 Yayoi Kusama is the Japanese artist behind some of my favourite window displays. 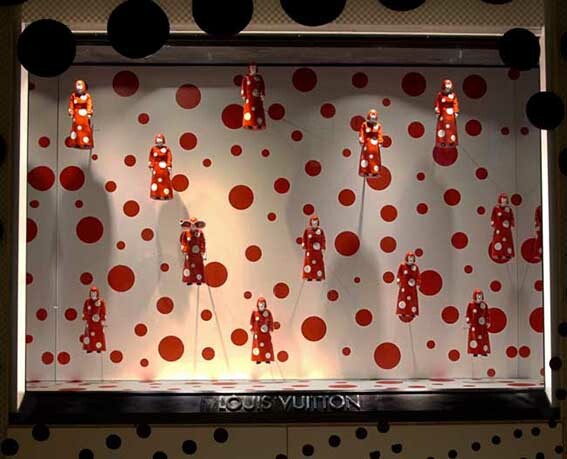 The Queen of the polka-dot, Yayoi has been taking over Louis Vuitton’s windows and wrapping them in her iconic red and white geometric patterns to coincide with the launch of her collaborative collection with LV last year. Her bold striped and polka-dot displays are iconic. The simplicity of her design, endless repetition and punchy candy-cane coloured shapes are an eye-catching and alluring feast for the eyes. 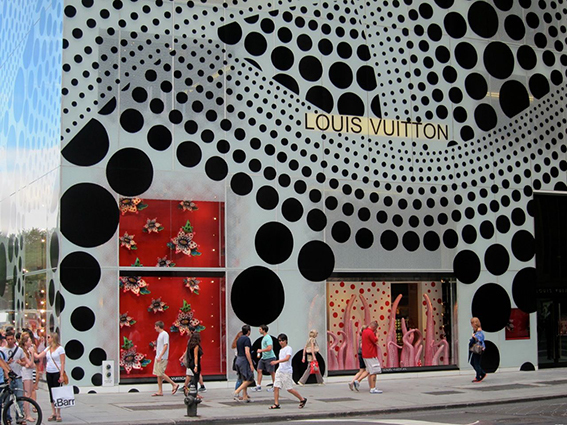 I love the way a bold pattern can captivate shoppers as they walk past the windows. Yayoi Kusama is as interesting as her window displays; an 84 year old artist who studied the ancient Japanese art of Nihonga painting, a rigorous formal style developed during the Meiji period (1868–1912). She has also lived voluntarily in a psychiatric clinic since 1977! An unusual woman with an unusual vision that really helped to enliven the brand image of Louis Vuitton.